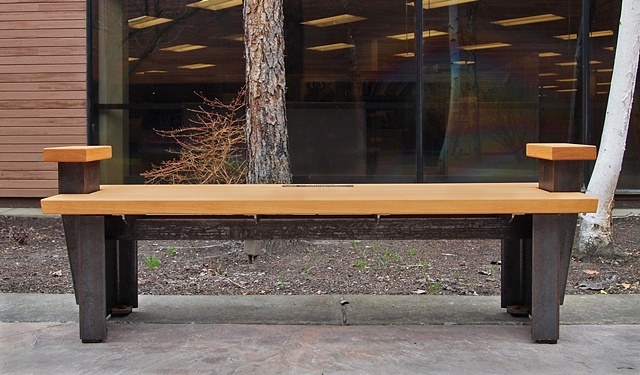 This commissioned bench (two matching benches were built) was a collaboration between Andrew Traub Studio and Johnny Weld, Opus Ferro. The concept and design drawings, as well as the cypress wood components, were by Andrew Traub. Structural steel design and fabrication were by Johnny Weld, Opus Ferro.